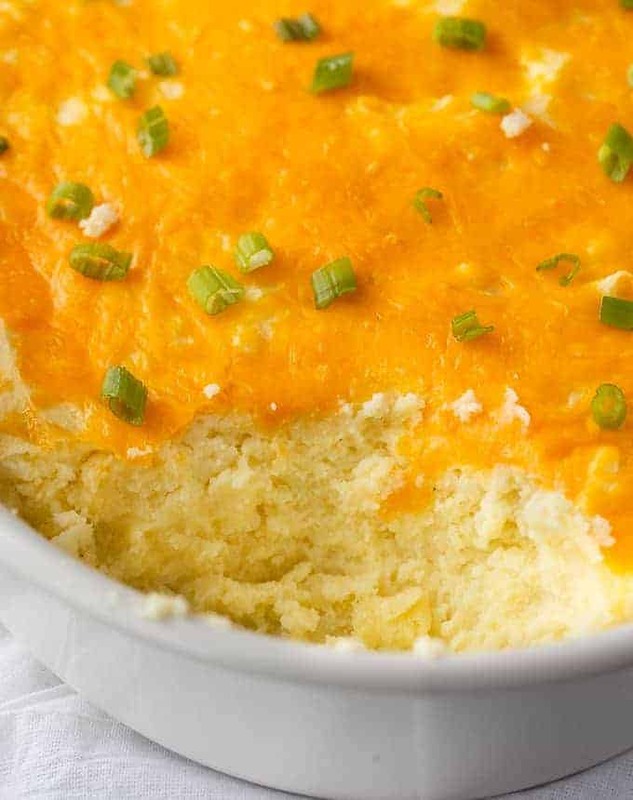 This Mashed Potato Casserole is creamy and fluffy! It’s a comfort food casserole perfect for Thanksgiving or other special meals. Mashed potatoes are a staple at all our holiday meals. I thought I’d try something a little different this year and make a yummy Mashed Potato Casserole. I think I might even like it better! Each bite is full of delicious flavour and creaminess. I love the melty cheese on top. It’s the ultimate comfort food. We celebrated our Thanksgiving in Canada in early October so the next big occasion is Christmas for us. I know that Americans are celebrating their Thanksgiving tomorrow so I wanted to get this recipe out just in time. I like mashed potatoes, but I don’t love them. This recipe, though? I’d put it in the love department. It’s a keeper and one I’ll make again and again. It’s fairly straightforward to make. 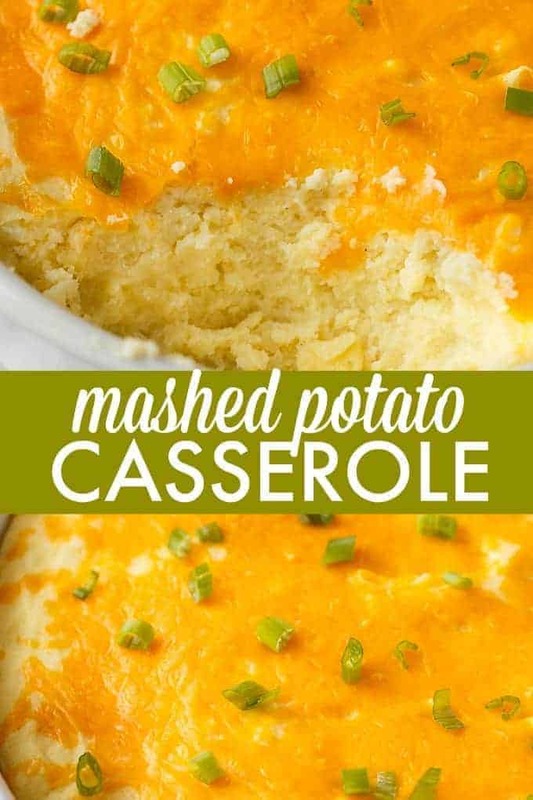 If you are making mashed potatoes, take a few extra steps and make this easy casserole recipe. You can thank me later. This recipe has both sour cream and cream cheese in it. I think that helps to make it so rich and creamy. I served it for dinner the other night and it received rave reviews. I love seeing people taking seconds of my recipes. You know you have a good recipe when that happens. The first step is to cook the potatoes. Boil the peeled potatoes on the stovetop for 10 minutes or until fork tender. Drain the water. Add salt, pepper and butter. 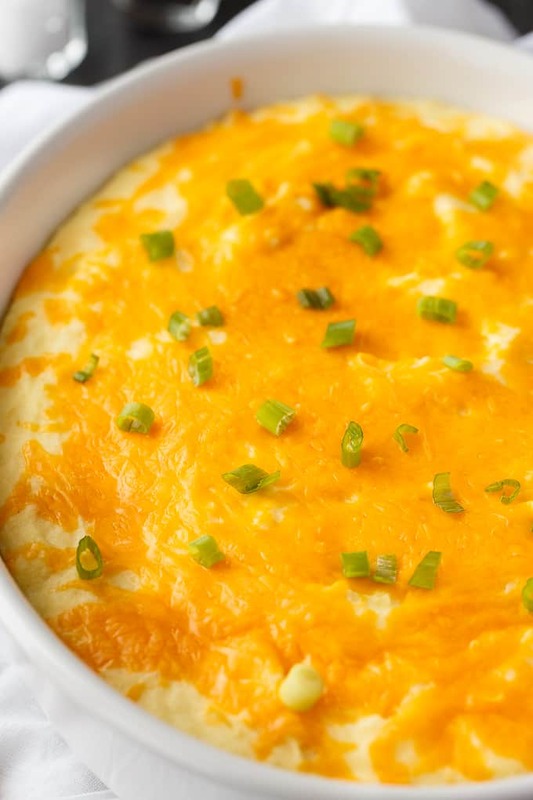 Add eggs, cream cheese and sour cream and mash to combine. 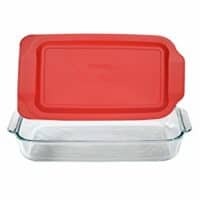 Pour into greased 9×13 casserole dish and sprinkle with cheese. Bake for 50 minutes at 325F. Remove from oven and top with sliced green onions, if desired. 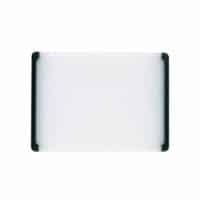 Serve it hot with chicken, turkey or beef. 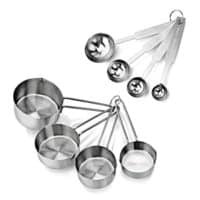 These kitchen tools will help you prepare the recipe. We had lots leftover and it still tasted delicious heated up the next day in the microwave. 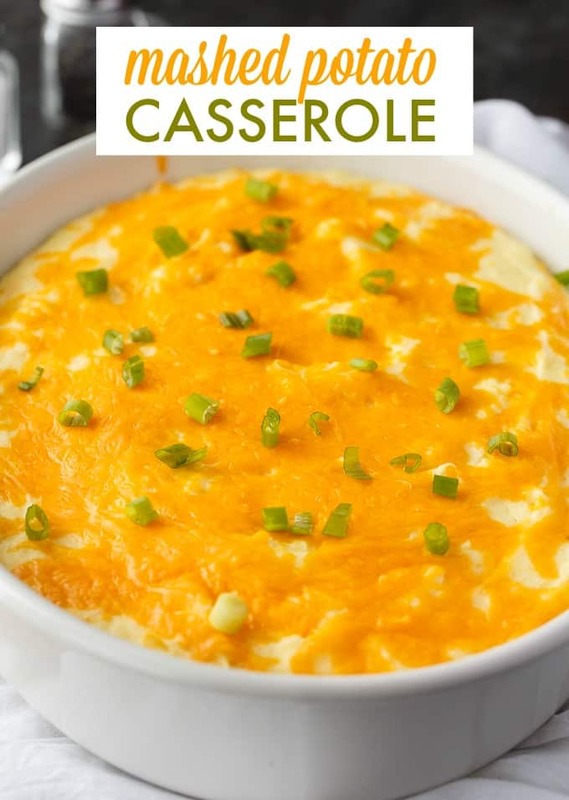 You could also freeze it if you wanted to make a few casseroles to save for later. I would do this if I had a freezer. Someday…. Craving more potatoes? Good! I have some recipes for you to check out. Parmesan Thyme Roasted Potatoes: Delicious and crispy! 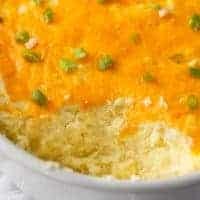 My family loved this easy side dish. Lemon Roasted Potatoes: Quick to prepare and come out of the oven hot and full of lemony deliciousness. Olive Oil Mashed Potatoes with Kale and Herbs: A twist on a comfort food classic side dish! Swiss Potatoes: Layers of sliced potatoes and Swiss cheese make this easy side dish a winner! 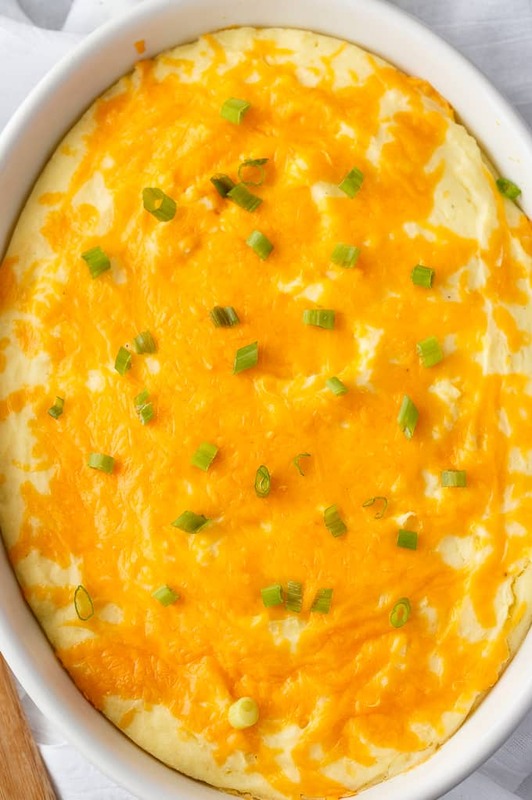 Twice Baked Potato Casserole: Easy, delicious comfort food your family will love! This is a lick your plate clean kind of recipe. You might also like these Irish Potatoes or French Fry Casserole. 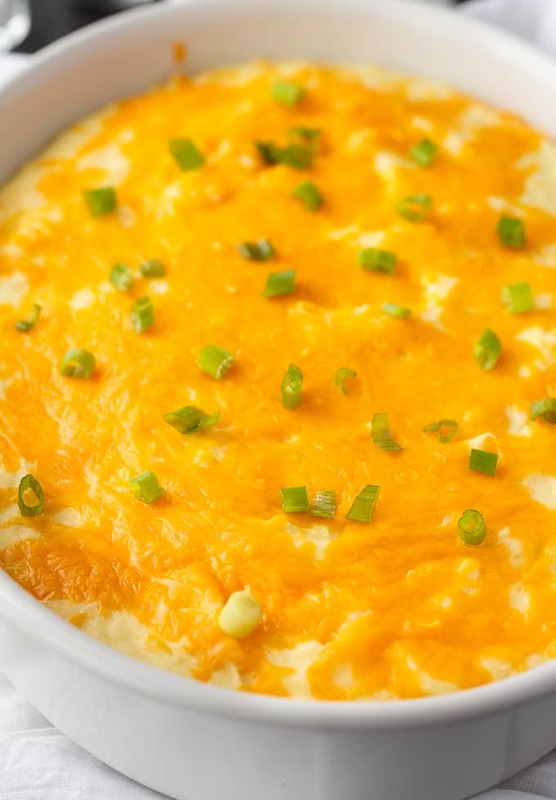 Are you a fan of mashed potatoes? If so, do you think you’d like to try them in a casserole? Creamy and fluffy! This comfort food casserole is delicious for Thanksgiving or other special meals. Boil potatoes on the stovetop for 10 minutes or until tender. Add salt, pepper and butter. Add eggs, cream cheese and sour cream and mash to combine. Pour into a greased 9x13 casserole dish and sprinkle with cheese. Bake for 50 minutes. Top with green onions if desired. Yum! This recipe is right up my alley. Love potatoes and cheese! This sounds so delicious. Potatoes are one of my favorite foods. Thanks for sharing at the Snickerdoodle Create Bake Make Party. Our family will really enjoy your Mashed Potato Casserole! Hope you are having a good week and thanks so much for sharing with us at Full Plate Thursday!